The Sustainable Development Goals (SDGs) apply to every country in the world; they recognise that we only have one earth, there is no umbilical cord to provide us with extra resources, there is no extraterrestrial land fill site where we can dispose of our waste. Today, the consequences of the past and present generations’ approach to our collective home are becoming clearer. Whether it’s plummeting insect populations, the loss of the Arctic, or increases in extreme weather events, there are signs everywhere that we’re on a dangerous path. The SDGs are a global commitment to change direction; not only do they consider how we sustain the earth’s resources and habitable conditions for life on earth, they integrate social justice and an ambition to eradicate oppression, from poverty to patriarchy. Scotland was quick off the mark in signing up to the SDGs; however, two years down the line and there is little evidence of the necessary gear shift becoming embedded in Scottish Government policy and practice. Fortunately, the levers which can bring a change in direction are already there and accessible to us: we just have to use them. Food is key to unlocking the Sustainable Development Goals, with nearly all of the 17 goals intimately linked with the food system. If all of the Scottish Government’s policy decisions related to the food system were tested against the demands of Sustainable Development Goals, we could begin to make progress very quickly. So, what are these levers? And how could they help? Hundreds of thousands of meals are served with publicly procured food every day in Scotland. From schools and hospitals, to prisons and civic buildings. Adding to this the meals served in visitor attractions that receive public funding gives an even greater potential to influence. If the public sector, and institutions that receive public funding, were only allowed to serve food that aligned with the SDG direction of travel, food production and consumption in Scotland would begin to look very different. Scotland, as part of the UK and the EU, provides subsidy payments for farmers. The current system, the EU Common Agricultural Policy, primarily gives subsidy according to land area, without stipulations. Consequently, we are paying for intensive agricultural practices that destroy habitats and contribute to climate change, and payments are inequitably distributed with wealthy farmers often receiving the most public funds. The multi-million pound budget could be used to support innovative solutions for developing a truly sustainable food system in Scotland: production methods that nurture ecosystems, mitigate climate change and produce high quality and nutritious food for local people. SDG 15: Take urgent and significant action to reduce the degradation of natural habitats, halt the loss of biodiversity and, by 2020, protect and prevent the extinction of threatened species. The Scottish Government have signaled a desire to extend the sugary drinks tax in their recent Diet, Activity and Healthy Weight Strategy. Using the money raised from the levy to extend a reformed Healthy Start Voucher Scheme could ensure that more families on low incomes have secure access to nutritious food. Currently the means-tested scheme only provides for children up to four years old and is not integrated with other social security – requiring a separate application. Increasing both the value of the vouchers and the age for which children are eligible, would help ensure families in food insecurity can reliably access sufficient nutritious food. Switching from paper vouchers to a pre-paid card, and automatically providing this to eligible people, would improve access and reduce potential stigma associated with the support. SDG 3: By 2030, reduce by one third premature mortality from non-communicable diseases through prevention and treatment and promote mental health and well-being. The above examples are some concrete ideas for how Scotland can redirect existing resources and reorganise our food system in order to ensure progress towards the Sustainable Development Goals. A legislative framework, which underpins these initiatives and ensures a coherent approach to the complex world of food policy is essential. 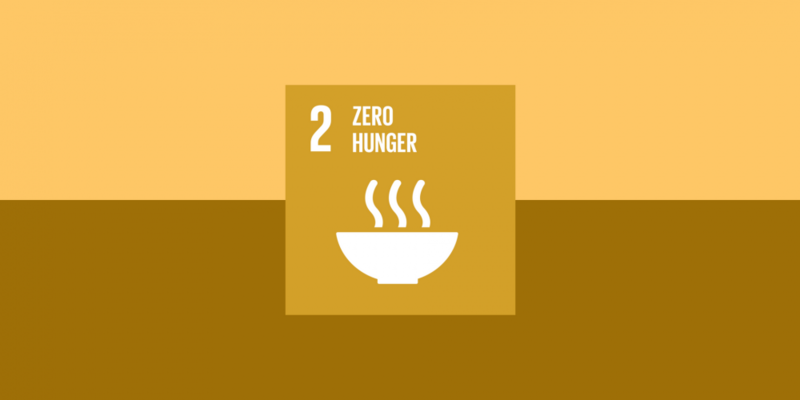 The Scottish Government has committed to introducing crosscutting legislation for the food system, the first of its kind in the UK, which is a real opportunity to stimulate the changes necessary in order to progresses the Sustainable Development Goals.